Pedalboard patch cords, audio, guitar and Instrument cables for the discerning musician. The best cables for your guitar, pedal board and rack gear. We feature great choices from Mogami, G&H, Neutrik, Lava, Gepco, George L’s, Canare, VTG and others. 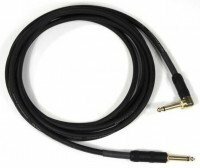 The right cable will enhance the capability of all your gear to achieve optimum sound. Evolutionary products and solutions that simply work! Stompin-Ground pedalboard systems are designed for the touring professional. We make these in a variety of designs that typically meet any of your requirements. We also offer several other quality mass produced pedalboards giving you more choices and solutions to meet every need. Find parts and supplies to help customize your rig. 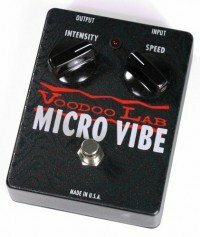 The Voodoo Lab Pedal Power 2 Plus is the premier method to power your pedalboard. The Pedal Power AC is also available to power certain high current pedals. Learn more about all the stock and custom power cables we have available to safely power most any pedal situation. We also carry the simple and effective MKS Power Pad and the affordable Godlyke Power-All system and all their power cables too. 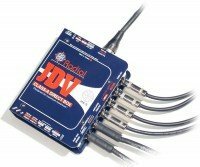 Whether you need the ultimate signal routing and instrument interfacing solution or a more simple switching device or direct box, Stompin-Ground offers professional products that do the job right. Great sound is the only choice and it’s delivered with this innovative line of products. 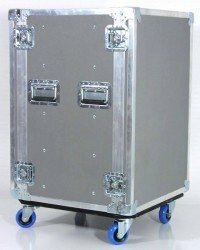 Heavy duty rackmount cases designed specifically for the gear you are transporting. All Stompin-Ground racks have a shockmount system tailored to the type and weight of your equipment for maximum protection.